NED University of Engineering and Technology, Karachi. over the collaboration of the two institutions. Result "Chinese Language Programme, HSK-1, 2, 3"
"Be a leader in enabling Pakistan's social and economic transformation"
"Acquire education and research excellence in engineering and allied disciplines to produce leadership and enabling application of knowledge and skills for the benefit of the society with integrity and wisdom"
NED University, being a leading institution of the country has always maintained high academic standards. It has also highly focused on having extensive outreach. As a result, it has been extending collaboration with several renowned international institutions abroad. In pursuance of its outreach programme, the students of this University are facilitated to spend a semester abroad. Along with that the students from overseas institutions are also invited to spend one semester at NED University. The University has also explored other avenues in this regard – offering international languages is among such initiatives. With the launch of CPEC, the University has immediately introduced Chinese language for all students as a compulsory course. In view of the importance of CPEC venture, the University has also established this CPEC Cell at NED University which is not only responsible for assisting to arrange Chinese Language courses but also working in other relative domains as well option include establishing collaboration with Chinese institutions, arranging trainings in collaboration with Chinese partners for local work force so as to enhance their capabilities, and providing technical assistance to government and private organizations who are engaged under CPEC programme. It is also responsible for envisaging launching joint masters programme with Chinese universities in the areas specific to CPEC which include ‘Railway engineering’. The University endeavours to play its vital role for completion and operationalization of CPEC programme by providing technical assistance which would in long run be beneficial to the nation in general and to our students and graduates in particular. NED University is one of the oldest and largest engineering institutions of the country. It’s academic progammes have high level of acceptance in all renowned institutions around the globe. Similarly, the level of research and publications is also exhaustive. The University has been focusing on taking various initiatives in other relative domains- establishment of CPEC Cell at NED University being one of them. This Cell has successfully enabled signing MoUs with several Chinese universities which will help further promoting student/faculty mobility programmes as well as joint research and other collaborative progammes including jointly applying for research grants, and arranging conferences, workshops and seminars. The first initiative of this Cell being arranging Chinese language programme has been very successful with large population of students already completed their level-I of the Language. This Cell is well focused with its objectives clearly defined. The level of commitment from the team and their hard work makes us believe that this centre shall become a prominent place of its kind in the country. It will have significant support towards all projects of CPEC especially those being pursued in the southern part of the country. 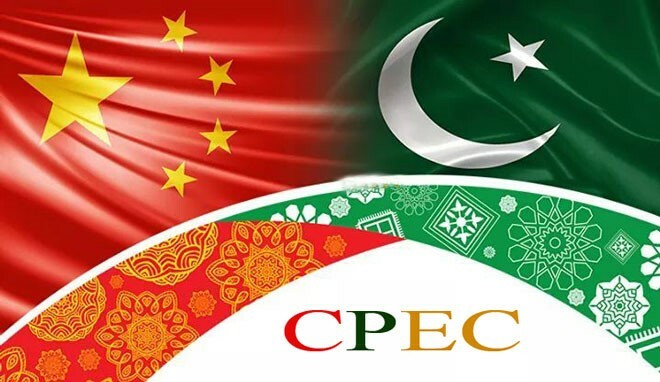 China-Pakistan Economic Corridor (CPEC) Cell at NED University of Engineering & Technology, Karachi works as the bridge between Pakistani students, teachers and scholars with the Chinese counterparts. CPEC Cell at NEDUET strives to provide best job opportunities for its students. It is also focused towards academic collaboration with the Chinese Universities and Polytechnic Institutes for smooth process of exchange of students, exchange of Faculty and research collaboration. CPEC Cell at NEDUET also looks after the Chinese Language Program offered as mandatory subject for 1st year students. So far more than 3000 students have benefited from this program. In very short span of time CPEC cell has already signed 14 MoU’s with different Chinese Polytechnic Colleges in the Field of Marine Engineering, Railway and other Engineering Disciplines. CPEC Cell believes in training its students prior to their graduation so they can have good opportunities waiting for them. China Pakistan Economic Corridor is hope of better region of the future with peace, development and growth of economy.